Hampshirecam - Not Quite The End! Thanks to a very generous offer from Lloyd Wakelin Hampshirecam continues, but only as an archive. Hampshirecam is now hosted by Lloyd's company, Futuresys Ltd is a web design and development company based in East Hampshire. He wrote "Your site has been an inspiration to many people to get out and enjoy the British countryside. My wife is one of those amateur photographers who was inspired by your photography and your website. As a web designer I was asked by my wife to set up her own site Steam & Country Cam which she now uses to publish some of her own photos". As many of you know the osteo-arthritis in my hands was at a stage where I had to cease shooting images and updating my website. Thanks to Lloyd's generosity Hampshirecam will remain live but only as an archive, no new images will be shot, but over a period of time I hope to repost a selection of the images from my archive plus a small quantity of unpublished photos. I've enjoyed the challenge for over 50 years of taking photographs and glad that many of the Hampshirecam images will now still be available for visitors to view. Again I would like to thank everyone who supported Hampshirecam, and for the many kind messages I've received - the quantities were quite over whelming and very much appreciated. Wilton Windmill stands on the hill above the adjacent valley. 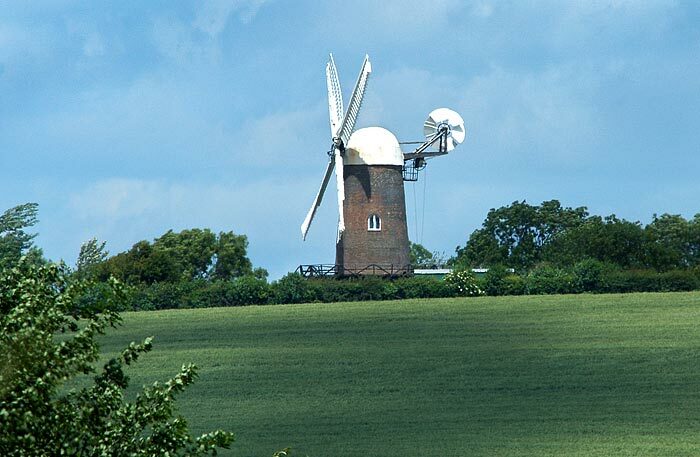 It was built in 1821 after the canal company had taken water from the River Bedwyn for their own use, thus taking away the power to drive several water mills in the vicinity. 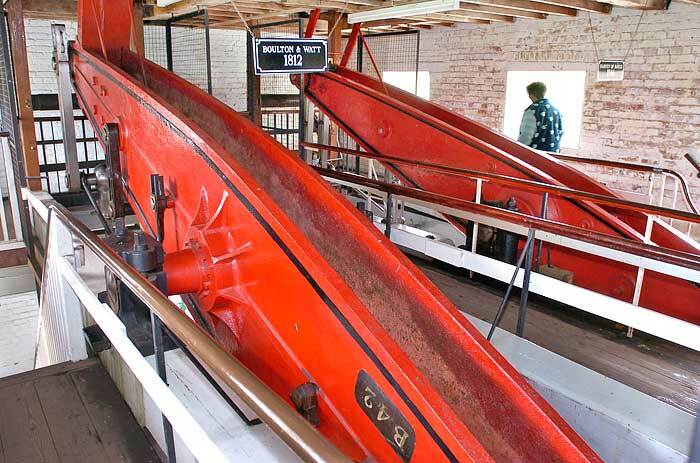 The mill worked until 1920 when it became a victim of steam and electrical power and stopped operating. Alter lying derelict for many years it was bought by Wiltshire County Council and leased to the Wiltshire Historic Buildings Trust, who together were responsible for the mills restoration. 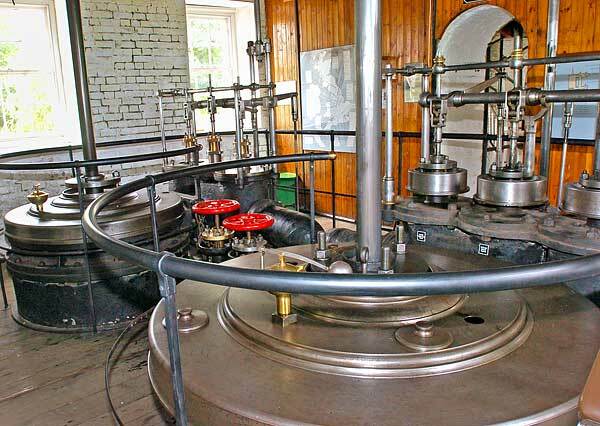 When the mill was built in 1821 it cost �0; to restore it a 150 years later the bill amounted to �,000. Today it's the only working windmill in Wiltshire. 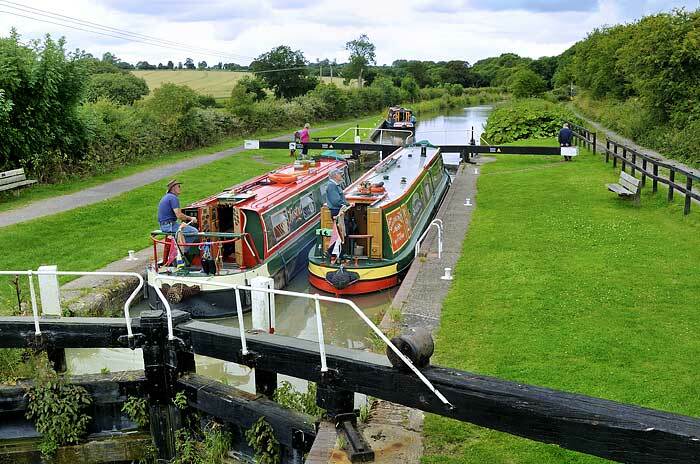 Just a few miles over Hampshire's northern border with Wiltshire is the beautiful Kennet & Avon Canal, a continuous waterway joining the River Thames at Reading to the River Avon at Bath. The 57-mile long canal joining these two rivers was completed in 1810. 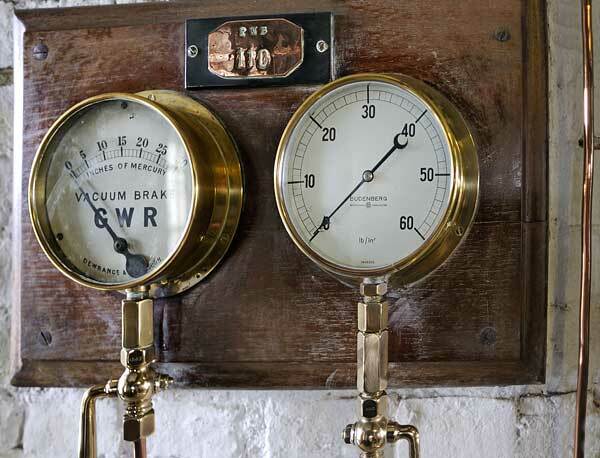 The Great Western Railway took over the running of the Kennet & Avon in 1846, maintenance standards declined and traffic was discouraged by high tolls. By the start of the last century, little canal traffic remained and declined even more with the increase in road traffic after the end of the First World War. In the early 1950s parts of the canal closed when some of the locks fell into a dangerous condition, and more followed through disuse and its future was threatened by closure. This inspired the founding of what is now called the Kennet and Avon Canal Trust and in 1956 they successfully fought against the closure of the canal. 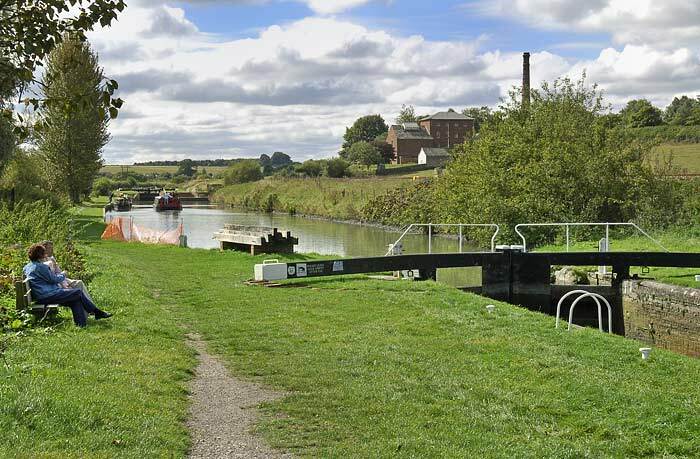 The newly-formed British Waterways Board took over responsibility for the canal in 1963 and a number of restoration projects were begun with the assistance of the Kennet & Avon Canal Trust. 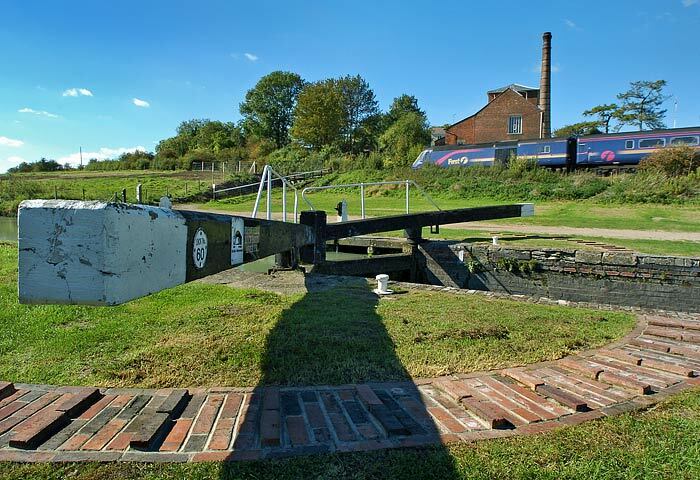 The first phase of the restoration project finished in 1990 when Her Majesty the Queen declared the canal re-open to navigation. 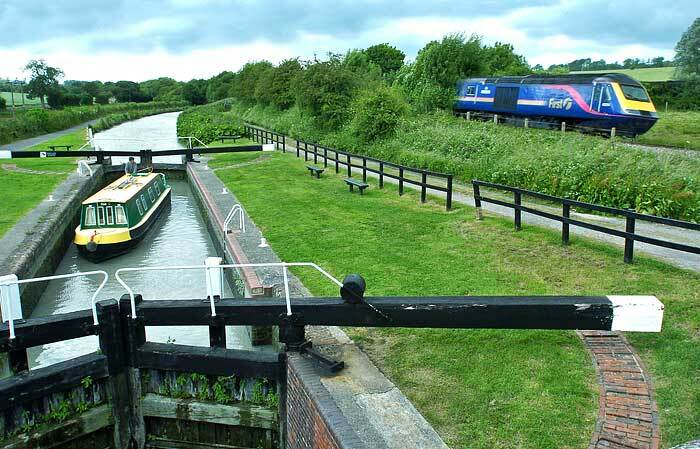 Although open between Bristol and Reading, there still remains much to be done to complete the canal's full restoration. 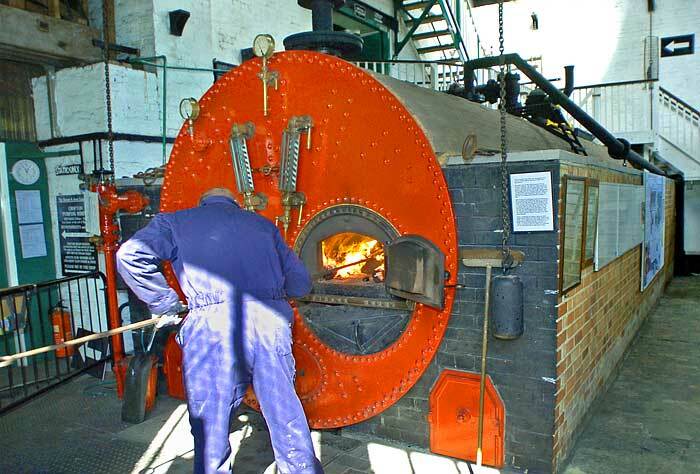 Boiler House - A single Lancashshire boiler provides the steam for the engines. 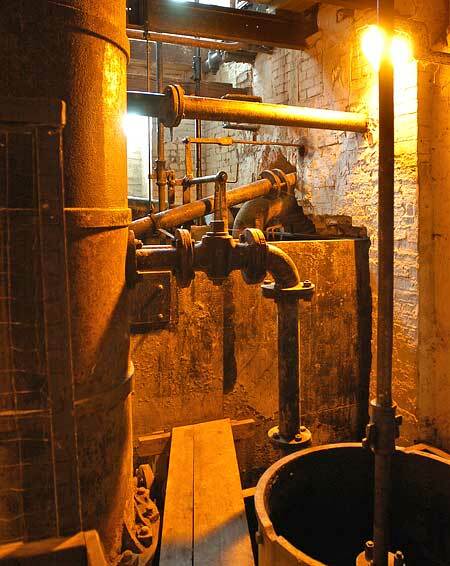 The boiler uses 1.25 tons of coal a day and heats 25,000 gallons of water to raise the steam for both engines. 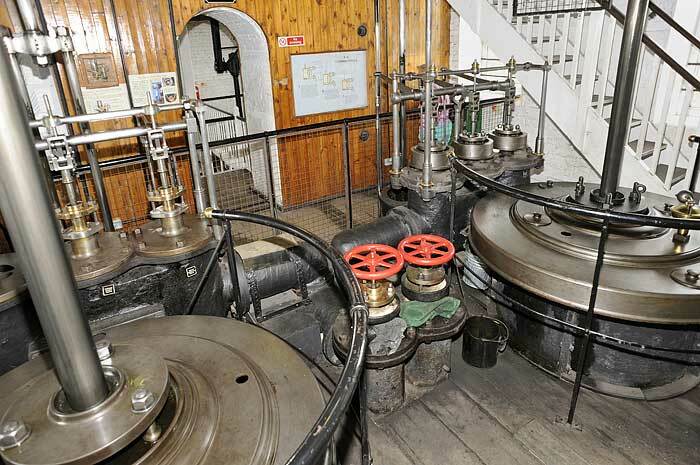 The cylinder head room contains the two large cylinder covers with their polished brass oilers, and the two stop valves that isolate the steam from the boiler. Behind the covers are the valves that control the sequence of the steam in and out of the cyclinders. Beam Gallery - The beams, which are both made of cast iron, rock up and down eleven times a minute. 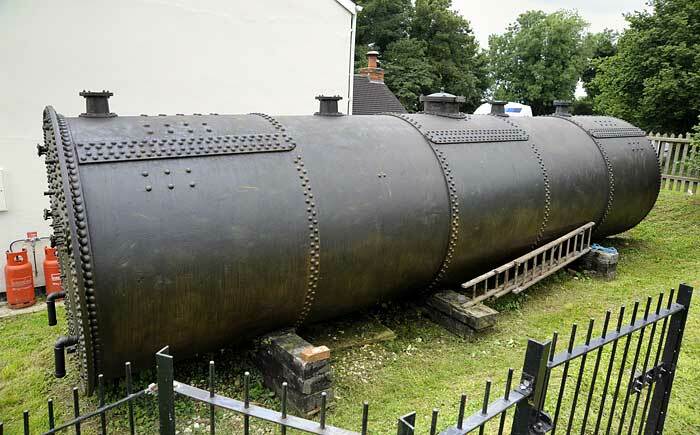 The 1812 Boulton and Watt beam (left) weights 6 tons and the 1846 Harvey is a little lighter at 4.5 tons. Well Room - The well water is used to supplement the water entering through the culvert under the building from Wilton Water. 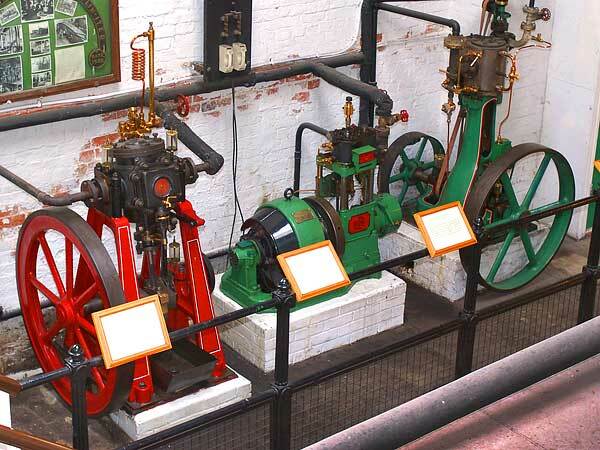 A small selection of stationary steam engines. What more peaceful way to spend a holiday.